Since its beginning, SEPA Labs has given back to the community. Because the laboratory is closely tied to the local community, it’s essential also to remain an active participant. In the early years, the company made an impact by donating to the local library. Today, the company boosts community involvement when sponsoring employees participating in the annual charity bridge run and each year the employees of the laboratory give generously to the local food bank and toy drive. A few weeks ago, Dr. Michael Mazzotta gave a presentation to the Youth Leadership of Glynn which was attended by high school students representing all of the area schools See news article here: https://thebrunswicknews.com/news/local_news/students-visit-morgue-for-lesson-on-human-anatomy/article_2a399db2-eef0-5d65-966b-9fa0f448043f.html. The presentation was approximately 75 minutes long, but is always well attended and is the highlight of the hospital tours. 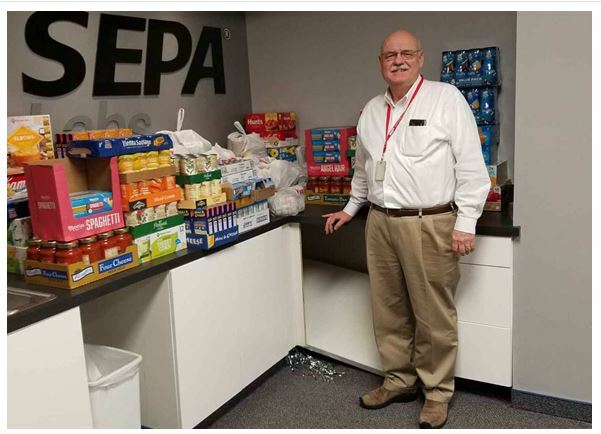 Whether as an individual, a group or the company as a whole, SEPA Labs and its employees have given back to the community since the founding of the company because any action large or small can make a real difference.